Shown here are a few of the Military Uniforms and Civilian Clothing we have made for a major new Irish Museum attraction opening this year. Featuring Military Uniforms for the British Army and Civilian Clothing for the Irish Insurgents all historically accurate for The Irish Rebellion of 1798. The mannequins are show under construction in their makers workshops. 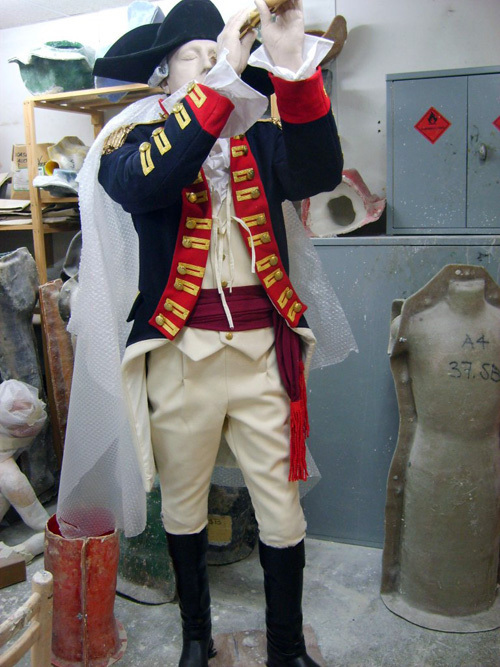 We send out our new uniforms and then they will age some of them to make them look more appropriate to their use.